As the project starts, our professionals are there during all the steps in order to get your feedback and answer any questions you may have while we are turning your property into your own unique oasis. Hard scraping involves projects with brick or natural stone and can include items like retaining walls, steps as well as woodwork such as pergolas and trellises. Sometimes all the fertilizer, turf and soil improvements that we can provide, just aren’t going to cut it in terms of getting your lawn looking pristine, healthy and green. Sometimes it will be more cost effective to simply start . 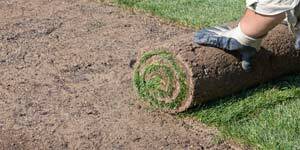 We can remove your existing garden, re-level your yard with new top soil, and install high quality sod (Ontario Sod) quickly and properly. 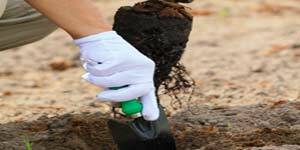 There are many reasons why mulch is important for your garden. Main role of mulch is to protect the plants (especially the younger ones) from harmful factors that may effect their growth. 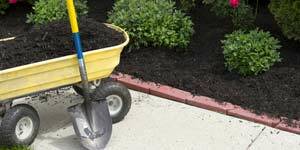 In summer times, mulch helps keep the moisture in the soil and help plants retain enough water. In winter, it acts like a blanket – protecting the roots from snow that can severely affect the growth of plant. Mulching also helps keep the weeds and unwanted grasses aside. Give strength to your garden with Ace retaining wall service. 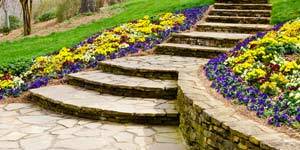 Retaining wall provides your uneven flower bed and walkways strength. We can provide your excellent choices in retaining wall that can match your needs and will fit with existing interlock driveways and walkways. with top of the line installation service, you get 100% satisfaction, strength and a beautiful property. We can provide information on the most suitable tree for your area, drainage, soil type, wind and desired effect. We also take into consideration what features you are looking for. for example spring or summer flowering, simply a wonderful winter structure or stunning autumn color . We purchase all of our trees from reputable nurseries, so you can be sure of receiving a healthy and well maintained product. 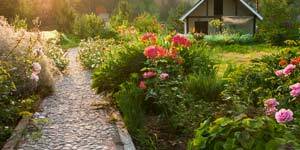 If your garden is looking a little tired, ACE garden design service can restore its former honor. We have the practical skills and know-how to breathe new life into your lawn or garden , whether the job calls for a simple tidy-up or an extreme garden renovation make over and Some new garden trends are ” Fairy, Edible and Vertical” gardens. 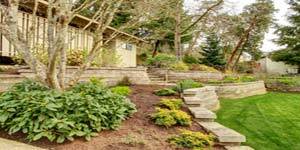 In improvement to Landscape Garden Design and Installation, garden design is a full lawn service and landscaping organization. Ace steps and entrances service can give your house a beautiful look by excellent color combinations and clean installation of steps and entrances. Our well experinced crew is there to serve you better and well known for excellent installations. We provide you variety of designs and combination which match with your present interlock or asphalt driveways.